Our Advanced Point of Sale System is built on the feature-rich QuickBooks Point of Sale Pro v9 and includes, a PC, monitor, barcode scanner, thermal receipt printer, receipt paper, cash drawer, backup battery, keyboard, mouse, and all the cables needed for a complete, working system. This system is scalable and can be expanded to include other peripherals as your business grows. 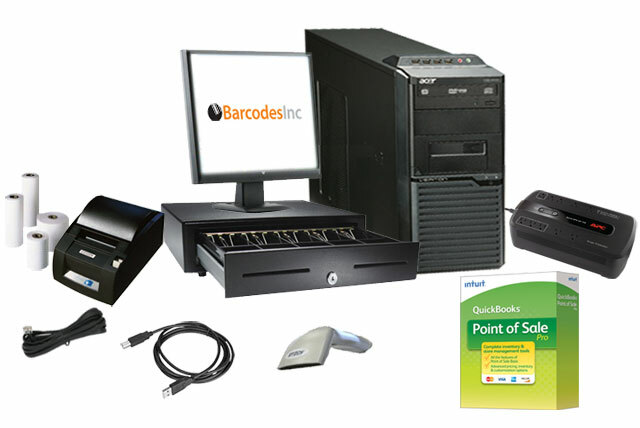 Includes QuickBooks Point of Sale Pro software (latest version), PC, monitor, barcode scanner, thermal receipt printer, receipt paper, cash drawer, backup battery, keyboard, mouse, and all cables.